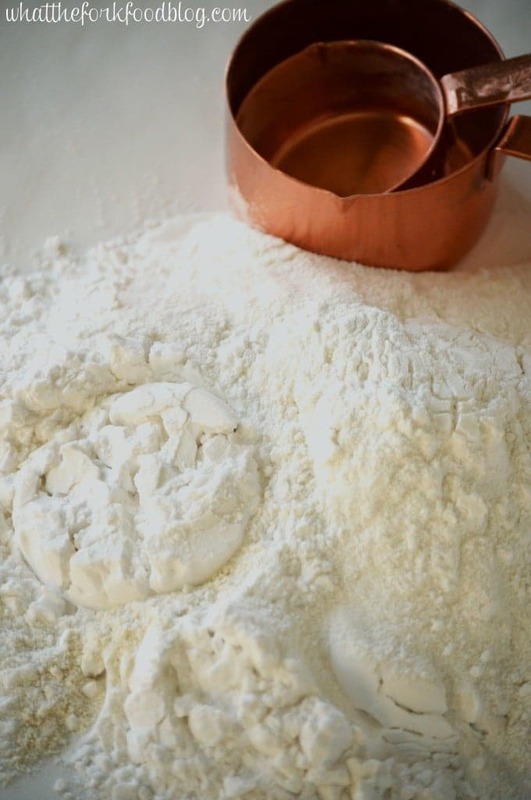 An easy, lighter all purpose gluten free flour blend that can be subbed cup-for-cup with regular all-purpose flour. Use it in baked goods, as a breading/coating for meat and as a thickener for soups and gravies. A while back I shared my go-to gluten-free all-purpose flour with you. It called for brown rice flour, potato starch and tapioca flour. While it was a great flour blend, I wanted to experiment with it a bit more. I wanted a flour that produced lighter baked goods. That flour is this all purpose gluten free flour blend! Instead of using all brown rice flour, I use equal parts of brown rice and white rice flour. I’ve found that the texture of muffins and cake are a little less dense and ‘feel’ better when eating. I’ve also started measuring my flour differently. I used to just scoop it out and level it off. By measuring it that way, I was actually using a little bit more flour than I should have been. Now, I give the flour a quick stir and then us a spoon to scoop the flour into my measuring cup. I then use the straight edge of the spoon handle to level it off. I know that’s not a new way of measuring and it does take a few extra seconds of work but it really does make a difference. I just didn’t do it because of the extra few steps it took. Lazy. But now I do it the right way and it seems to be paying off with better baked goods. 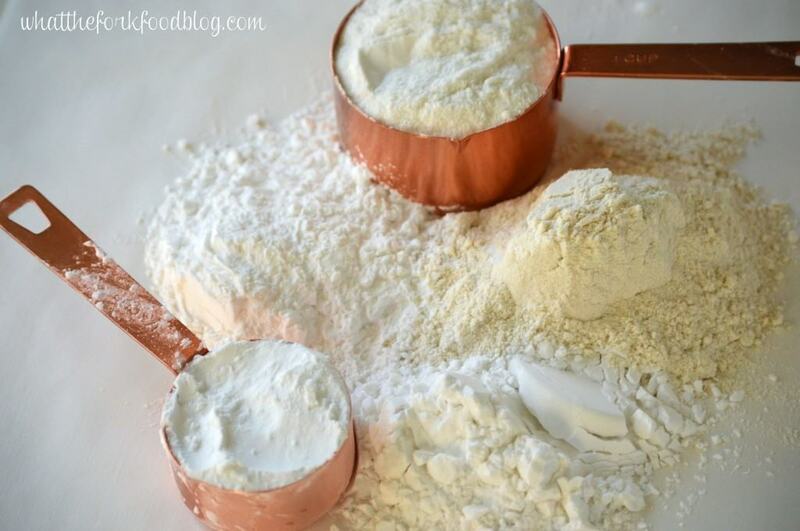 So give this all purpose gluten free flour blend a try and let me know how it works for you! Mix all ingredients together, whisk until combined. Store in an airtight container. Awesome! I love finding more GF mixes with less starch. I’ve been using a white blend for everything lately so I can’t wait to try this! Pinned. The white blends seem to be the way to go, at least for now until I start experimenting again lol. Thanks for pinning! That sounds great. But unfortunately I’m sensitive to rice as well as gluten. I’ve been playing around with flours too to see how to lighten baked goods. But I have to say that since eliminating rice flour, baked goods actually taste better. maybe it’s because my body was trying to tell me that I couldn’t tolerate the rice. Anyway, love your website and enjoy your recipes. I just sub the flour for one safe for me. Keep up the great work. I’d LOVE to know what your flour blend for baking is. I too am sensitive to rice. Ppppppllllllleeeeease, share your blend? Hi Teri, I often use this blend for baking as well as my Nightshade Free mix. I also frequently use Bob’s Red Mill 1:1 Baking Flour. All of those have rice flour though. I’d recommend looking into some paleo recipe which will be made with grain free flours, so no rice. I have a couple grain free muffins on the blog (blueberry and cranberry orange). Hope that helps! Cindy, I cannot take rice as well. Can you please share your flour mix without rice flour. Economically, it makes much more sense! It costs a bit more to buy the individual bags of flour but you get so much more out of it. Nice blend! I use a similar one and it works great! This is great! 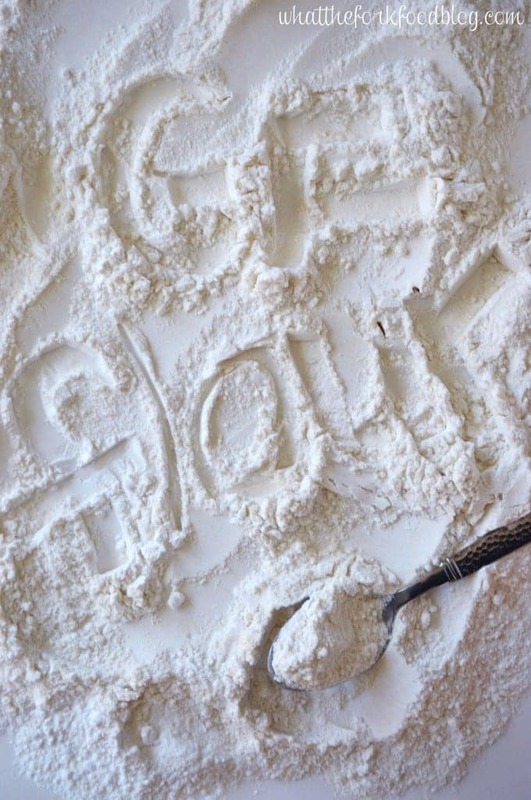 In my opinion, everyone needs a go-to all-purpose gluten-free flour blend! Thanks for sharing yours! Brilliant, I’ve used a store bought GF flour before w/the same ingredients but didn’t have any idea on the proportions to make my own. Do you recommend any particular brands that are free from gluten cross contact or otherwise allergy friendly? Thanks! Also, if you haven’t tried the superfine rice flours from Authentic Foods, I so recommend them. While I have no affiliation with them, I have to say they have been such a game changer for me. I’ve been meaning to try some superfine rice flour, I heard it’s great for bread. Thanks for the reminder! This is such a great mix! I use almost exactly the same one, except with cornstarch instead of tapioca and potato. Also, LOVE the copper measuring cups! Love this blend! I love baking gluten-free! I look forward to trying this! There are so many different options and sometimes I get a little overwhelmed. This sounds great! This combo has served me well in many recipes! It’s so nice of you to share it with people who don’t know what to use! What can anyone suggest as a substitute for potato starch .. I’m highly allergic to it. Hi MJ I usually us cornstarch as a sub for potato starch when I run out of potato. In pure frustration, I am going to give your flour recipe a try. I have spent many $$ buying pre-made gluten free flour, only to find that my baking could be used as a lethal weapon (.. the bagel I made with pre-made gluten free flour were like bricks). Wish me luck! 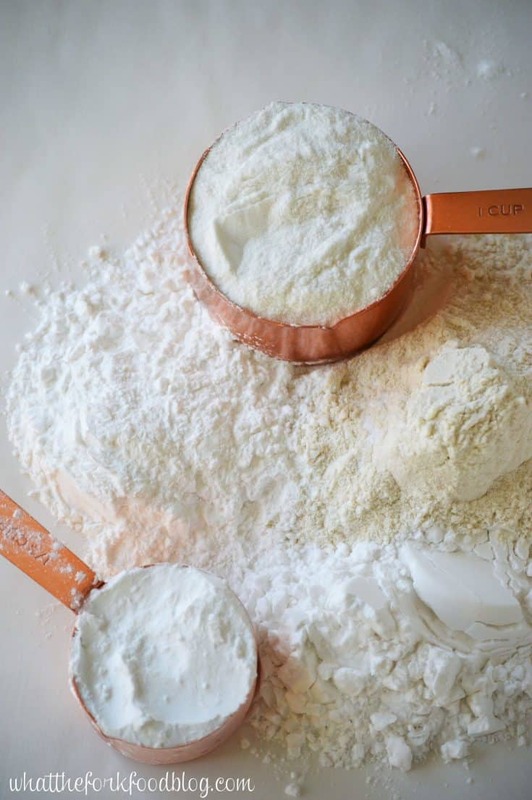 One thing to keep in mind when measuring your flour, stir the flour first and then use a spoon to scoop it into your measuring cup and then use a straight edge (like the spoon handle) to level it off. 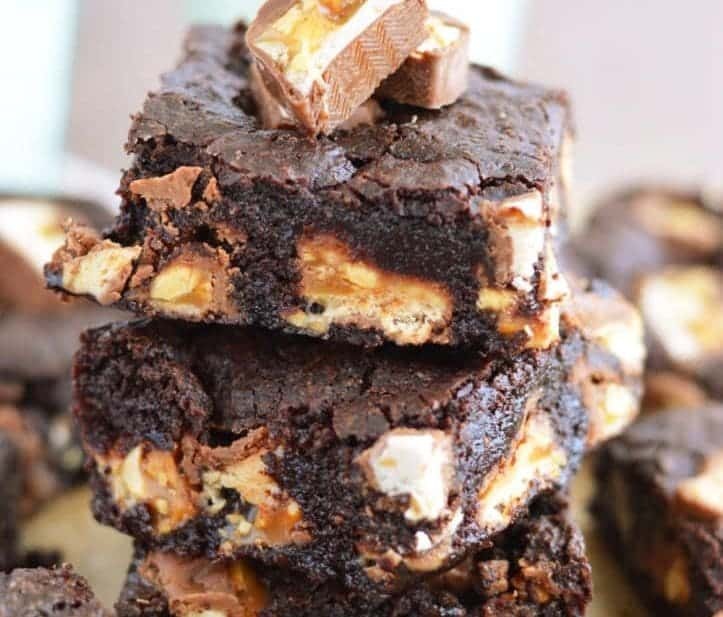 Using too much flour will definitely cause your baked goods to resemble bricks. Thanks. I do this and have also weighed it. I need a kitchen scale… That would definitely be the most accurate way to weight the flours. 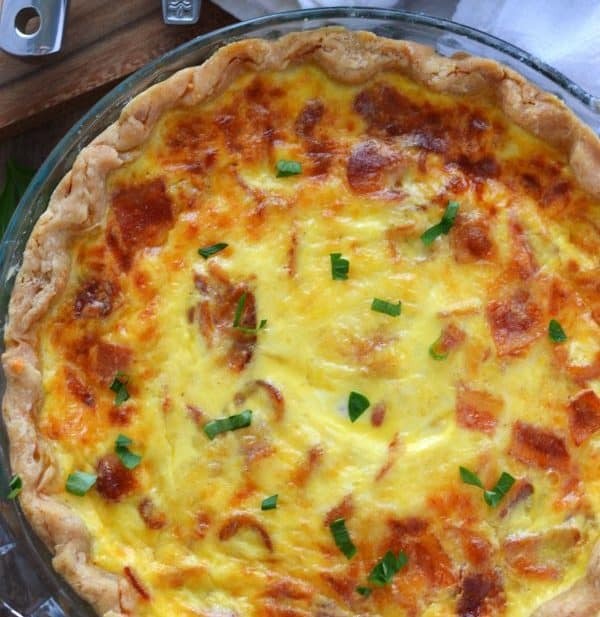 I couldn’t find where to subscribe, I hope you will just start sending, all GF recipes, I’m learning to cook and bake all over again, and could use as many recipes I can get my hands in, plus as much help from you and others, tips and all help. Thank you, can’t wait to get started. Hi Kimm, you can use this link to subscribe: http://eepurl.com/bdP5af Welcome to my blog, I’m happy to have you here! 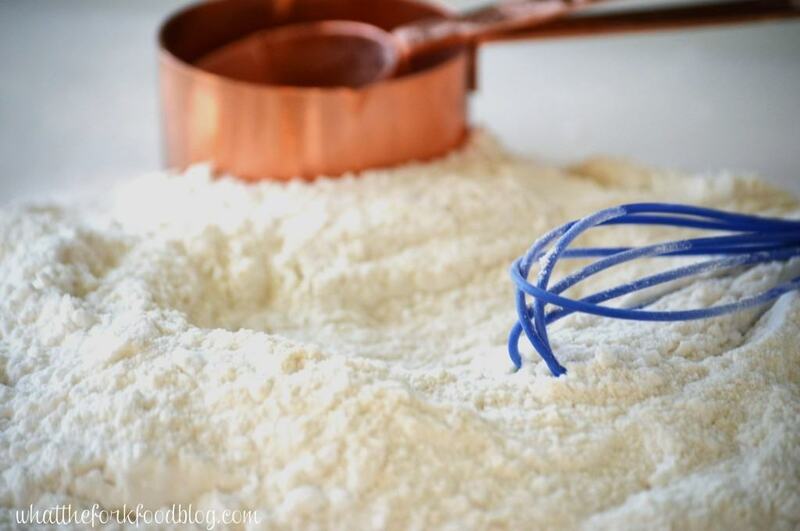 Can you use potato flour instead of potato starch? Hi Lisa, unfortunately no. 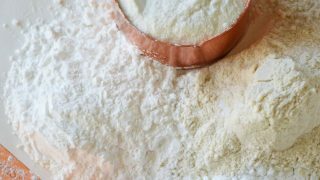 Potato flour and potato starch do not work the same way. Sorry! Do you still need to add xantham gum if the recipe calls for it? Yes, since this flour doesn’t call for xanthan gum, you’d use the amount of xanthan gum a recipe calls for! I don’t add xanthan gum to the flour blend. I like to add xanthan gum when making a recipe, as the amount needed will vary depending on the type of recipe you’re making. 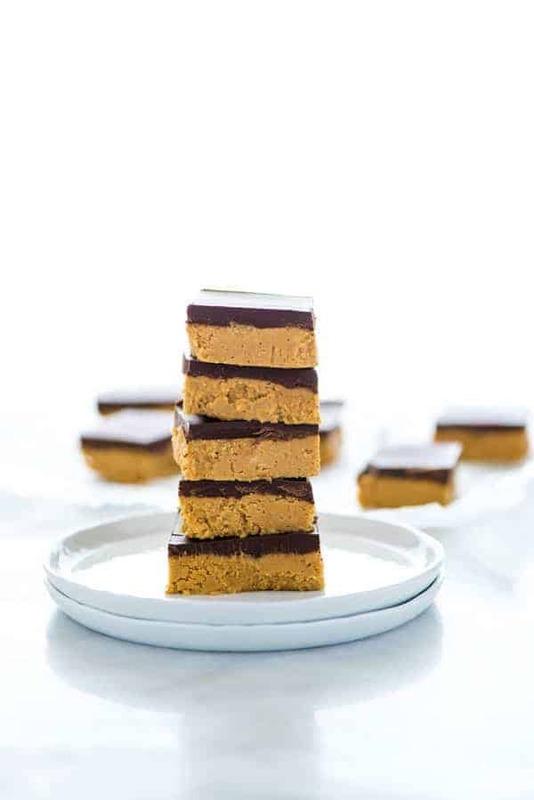 Would it work if I used white rice flour in place of the brown rice flour? All white rice flour will make a flour blend that is too gritty, in my opinion.